Around and around and around we go! Our Wizzer is completely powered by its riders! The faster the four participants pull the lever, the faster the ride spins in circles. 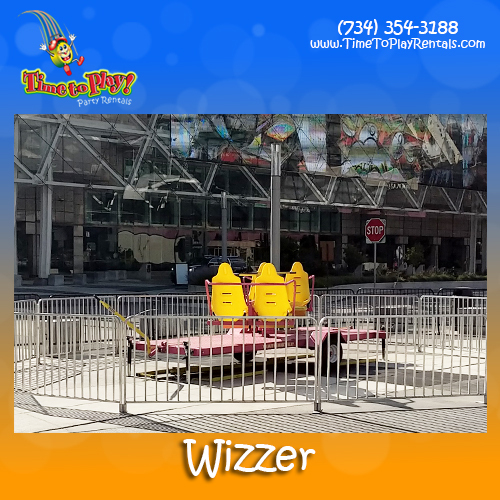 Our Wizzer ride is fun for all ages and is a fantastic addition to school socials, church festivals, corporate events and other fairs. Contact us and we are always more than happy to assist you in selecting the best variety of rides for your event.